India's squad was announced on Monday. Ever since India’s World Cup squad has been announced, the cricket experts are giving their views on who should’ve been picked and who not. Ambati Rayudu’s exclusion was one of the biggest surprises in the line-up while many eyebrows were raised when Dinesh Karthik was preferred ahead of Rishabh Pant. However, the former India cricketer VVS Laxman feels that this is the very much balanced team and India can win the title with this side. The chief selector MSK Prasad, while addressing the media, confirmed that much-debated number four spot has been sealed by Vijay Shankar at least now. Though he left the final decision with the team management and added that even KL Rahul can bat in the middle-order depending on the conditions during the tournament. Also, Ravindra Jadeja made it to the squad who was not even in the frame until the Asia Cup last year. But he is a gun fielder and his all-round ability just gives the stability to the team whenever Jadeja is in the playing XI. 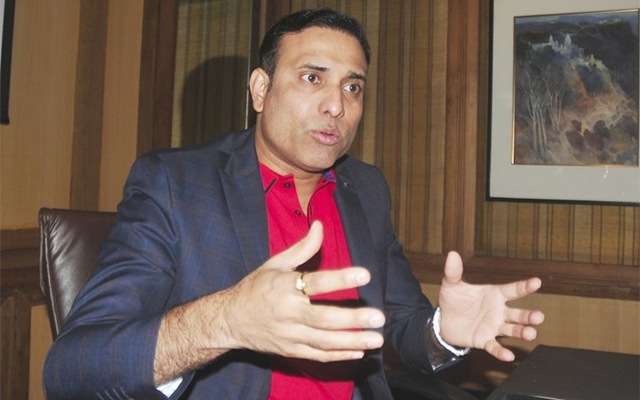 VVS Laxman went on to say that India are the strong contenders to win the World Cup this year. He also added that Vijay Shankar and Bhuvneshwar Kumar are looking good in the SRH nets and they desperately want to do well for India at the biggest stage. The Indian team is very balanced and one of the strong contenders for the title. I have monitored Bhuvi and Vijay in the nets while they were on Sunrisers Hyderabad (SRH) duties. They look in great shape and are raring to perform on a stage like the World Cup. I can see these players contributing to the team’s success in a major way,” the SRH mentor was quoted as saying by Times Now. As far as their performance in the IPL is concerned, Bhuvi is slowly getting back to his best after a poor start and Shankar has done nothing wrong with the bat. Though it seems that both of them will be rested in the second half of the tournament depending on their fitness.